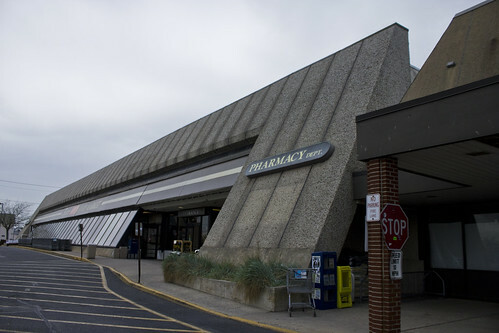 The Ortley Beach Futurestore opened in the late 80's as part of A&P's Proud New Feeling campaign. 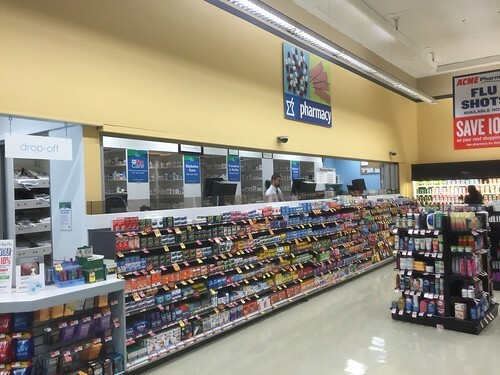 This was the second generation of futurestores... the first being the glass fronts, which were more common in the Carolinas. 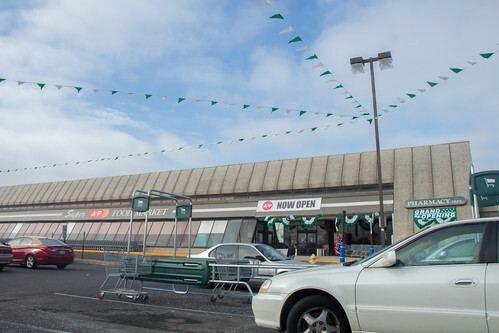 Acme's shore locations almost all look like this. Beach Haven and Sea Isle were new construction to replace older 50's and 33M models. 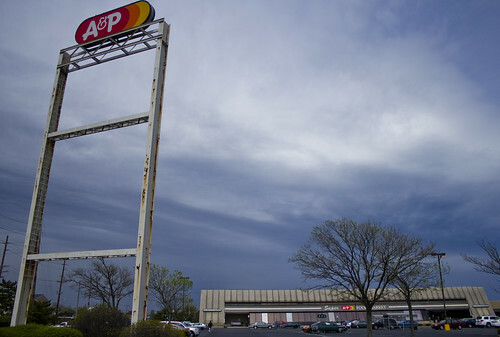 Look at the A&P after Superstorm Sandy. New cart corrals, shopping carts, and decor (Fresh 2.0-after "effect" I'll call it) were added. 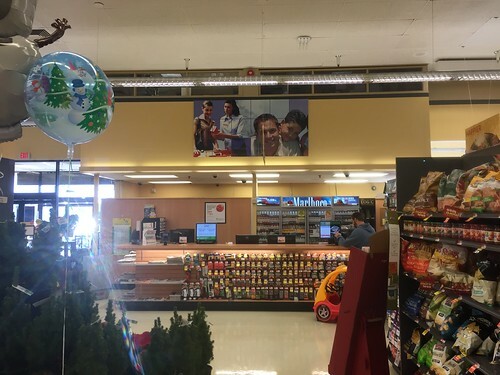 No new A&P Fresh sign. Simple Fresh 2.0 panels on the wall with Fresh 1.0 colors. 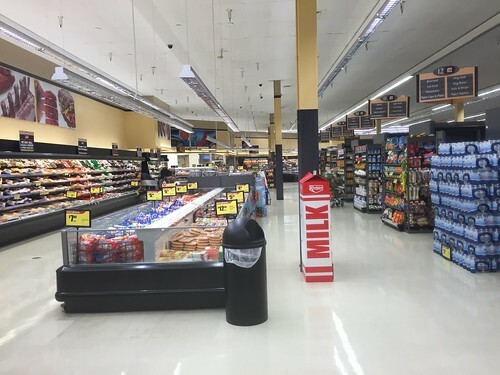 This store is a select group to have the 3-sided Fresh aisle markers. 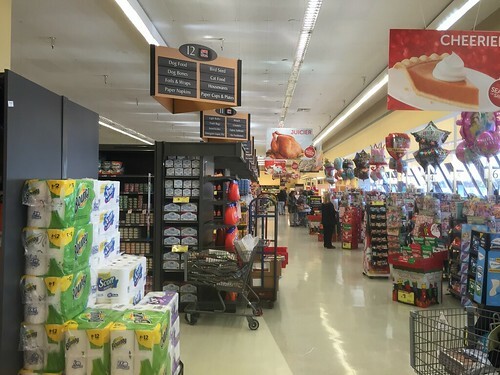 Most got the one-sided panels that run parallel to the aisles. Customer Service with the offices above. Meat and Seafood along the back wall. All new flooring here, too. While you can't see it here, the store tops out at 18 aisles... pretty hefty for a store built in the 80's! Acme and many other chains were still building small A-frames and galvanized-metal facades. 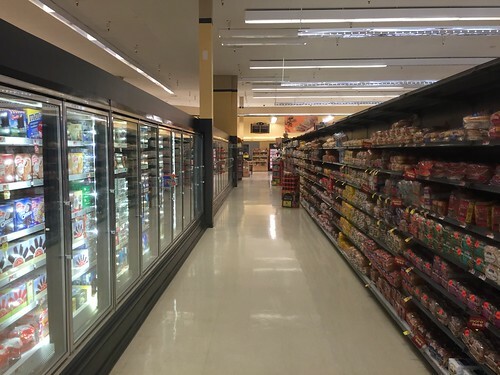 While this store did get mostly new fixtures, the freezer cases were the ones that stayed. A grand look at the A&P. 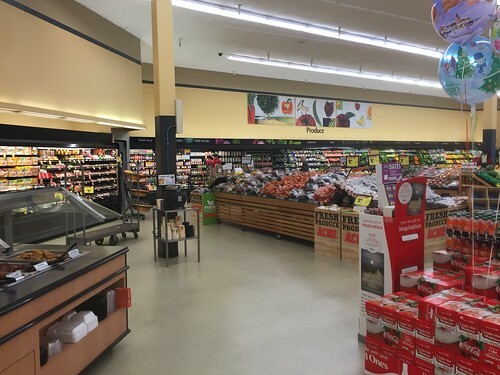 The Wall Township store is a first generation Futurestore. If I recall correctly, it was one of the very early ones. 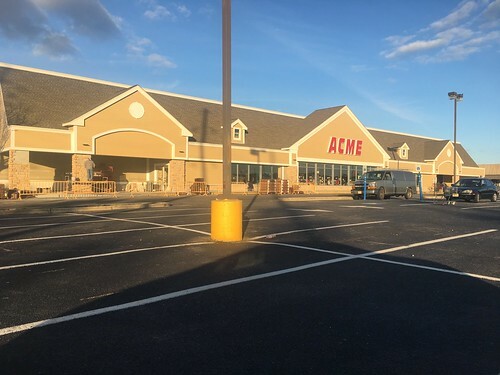 Even now as an ACME, it still has the Futurestore exterior. 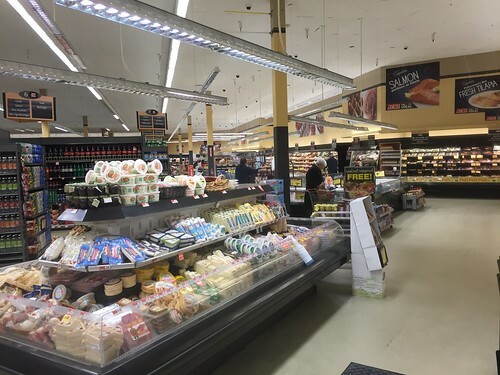 Yes, the Wall Township store is a first gen. Futurestore. They were probably built in 1987, and the later Ortley Beach-styled one was probably built in 89. Few were built like the Wall Township store. I'm honestly surprised Acme hasn't rebuilt the facade yet. The store does decent business, and it's actually one of (I think) three or four Acmes to be open 24 hours. The store itself would probably look very good with a shore-styled facade, although I could go for one like in Chestertown.